What Makes a Winner? THINK and GROW RICH is the Granddaddy of All Motivational Books and the first book to address the question What Makes a Winner? Through the encouragement and support of Andrew Carnegie, Napoleon Hill studied the most successful men of industry of his time in order to ascertain what traits each possessed. His findings are contained within The Laws of Success and later refined in Think and Grow Rich. 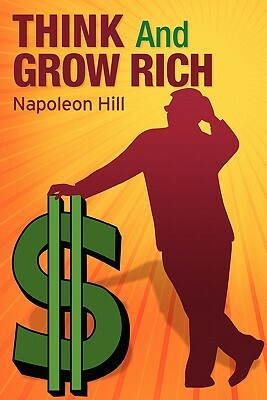 In THINK and GROW RICH, Napoleon Hill draws on stories of Andrew Carnegie, Thomas Edison, Henry Ford and other millionaires of his generation to illustrate his principles. THINK and GROW RICH is an all-time best-seller, having sold 15 million copies worldwide, and set the standard for motivational thinking.